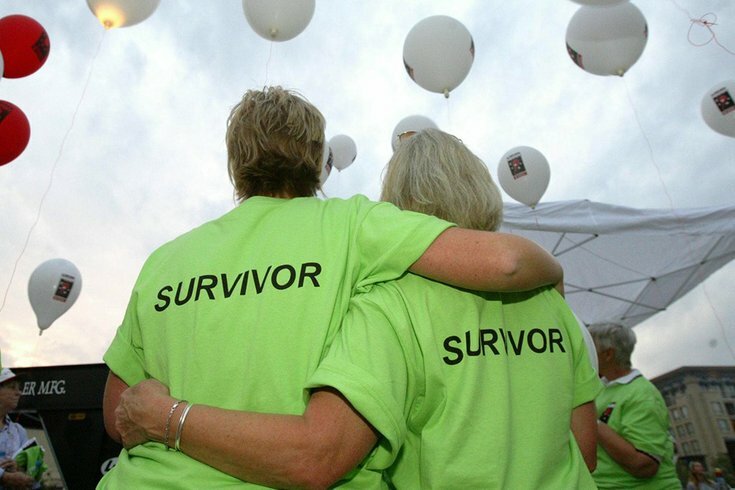 Cancer survivors Brandy Chappell, left, and Shirley Dupree embrace at the start of the 5th annual Leukemia & Lymphoma Society's Light the Night Walk, in October 2003, in Plano, Texas. We measured reactions to the term in three ways: a seven-point scale from strongly disagree to strongly agree, a 100-point allocation exercise from 0 (negative) to 100 (positive) on a continuous scale, and an open-ended question, “What is your personal opinion about the phrase ‘cancer survivor’ and why do you feel as you do?” We analyzed more than 1,400 surveys completed by patients, primarily with breast cancer, who belong to the Dr. Susan Love Research Foundation’s Army of Women, an organization that connects researchers with people who want to participate in breast cancer research. About three-quarters of our respondents were currently undergoing cancer treatment.